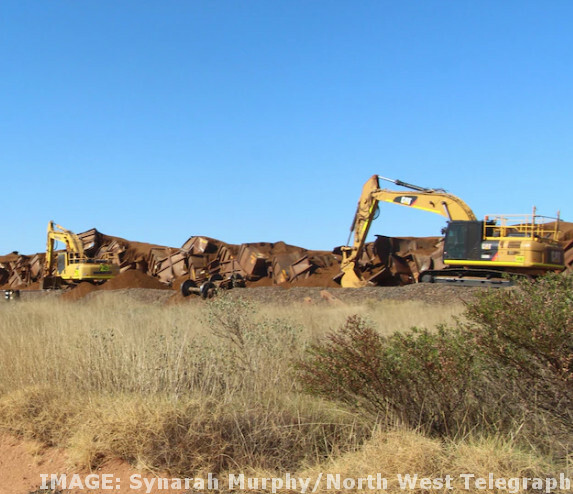 The company had to force a fully-laden train pulling 268 wagons and 30,000 tonnes of iron ore off the tracks 120km south of Port Hedland, sending the order from its Integrated Remote Operations Centre in Perth, about 1,500km away. The incident occurred in November last year and led to the sacking of the train driver, who has now launched an unfair dismissal case. The incident left the train in a mangled heap and did not do much for the balance sheet either. It hit BHP's iron ore production by four mega tonnes, or about 6 per cent – the single biggest factor in lower-than-expected volumes reported for the December quarter. “Productivity for the December 2018 half year has been impacted by unplanned production outages at Olympic Dam, Spence and (Western Australia Iron Ore), with a total negative impact of approximately $US600 million,” BHP's half-yearly operational review states.